I believe that good information should be spread and even though I do booking for bands, I’m not afraid to share, step-by-step, how I go about this process. That’s what this music blog is all about, partnering up with artists to take the next step. I hope this helps your music career. This is a more concise version of an earlier post which you can read here. I recommend you read that one too. Once you’ve decided that you want to and are able to tour (and you’ve figured out the why’s), it’s time to plan the how, when, and where’s. This is what I do. Decide on a Date Range. I strongly recommend that you plan, at minimum, 4-6 months in advance. Booking a tour requires months of contacting, follow-up work, and filling in gaps. Some venues book at least 6 months out in advance, some only one month at a time. You’ll also need plenty of time to market, promote, and contact local press. Choose Your Tour Route. Decide the general direction where you’d like to go. Chances are that you will probably have to make adjustments along the way. Some cities are easier to book than others. Decide how much you want to drive per day (I recommend spacing venues out 50-400 miles apart, depending on the region). and if you want any days off. Big cities have more venues to choose from but often times require a “pay to play” option or will hardly pay you at all. Smaller towns outside of the city tend to pay more and are sometimes easier to book. I also recommend sticking to major highways (such as booking along I-5). Begin Contacting Venues. Start by looking for venues along your tour route. Websites like Indie on the Move, byofl.org, and onlinegigs.com are free, searchable databases. 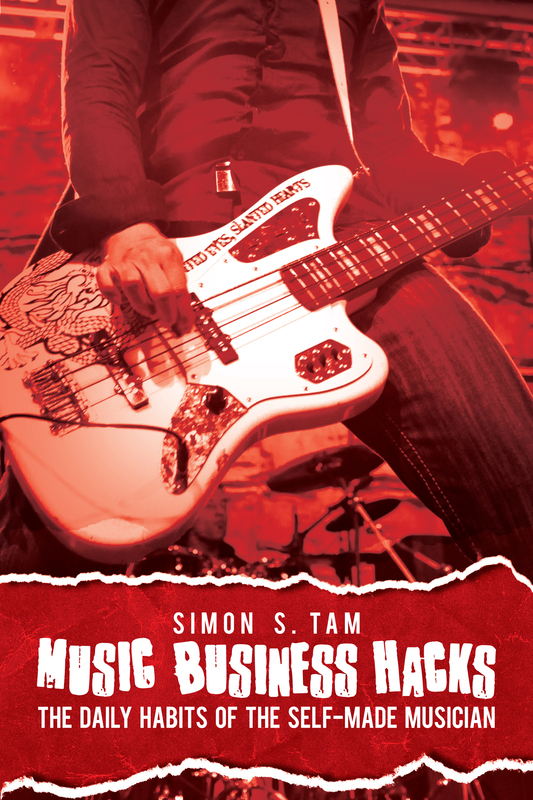 You can also buy more details (and sometimes reliable) information from Billboard Music (they offer a touring guide for about $20), The Indie Venue Bible (about $100), and more. Most promoters prefer email. Some still use Myspace, some use the phone, some have their own contact form. Whatever it is, find out their preference and stick to it. Don’t use one generic message or method (nobody like spam) and answering the question on their mind: How will you make the venue money? How will you bring people in the door? No venue cares about how “good” your show is if you’ll be playing for an empty room. Nearly every venue would rather hire the crappy local band that can sell the place out over a touring, professional band that can’t even get their guest list to show up. Follow Up With the Venues. Most promoters are inundated with messages and are constantly juggling dates, bands, rentals, and other events. Get a confirmation, make sure you are on their website. Check in to see if they want posters mailed to them, see if there are local media contacts you should be following up with. If a promoter gave you a “hold,” find out what you need to make it a confirmed show. Follow-up again one more time before you leave for tour. If You Have Gaps…and chances are, you will…have a back-up plan. If a show doesn’t pan out and if want to fill the date, start thinking creatively. You can contact nearby towns, check Craigslist to see if someone wants live music for their party or corporate event. If you’re out of venues, try doing a search on Yelp or Google Maps for live music. Contact local radio stations, record shops, bookstores, skate shops, church groups, roller skate arenas, restaurants, malls, any place where you might make a good fit. Hot Topic used to allow touring bands to do an acoustic set (some stores still do). Ask your friends/fans in the area if they want to do a house party. Or, begin contacting all of the venues you already reached out to and see if something opened up. Get in touch with bands in the area to see if they can help do a gig-swap. The most important thing to remember is that this takes patience, consistency, follow-up, and a little bit of salesmanship. Keep at it everyday. Set up an appointment with yourself to contact venues, promoters, etc. for at least 1-2 hours per day (and more as you get closer). Never miss that appointment. If you are consistent and tour often, you’ll begin building relationships with promoters and it becomes easier and easier. Then who knows? Maybe you’ll begin booking for other bands. That’s how I got started. Damn.. that’s some perspective. Thank you! We are just gearing up for an East Coast mini-tour and need all the help that we can get. I was thinking of reaching out to local players that are moving and shaking in the areas where we want to book. See if they would want to jump on the bill, then get in touch with the venues promoter. Like you said.. back up plans. Congratulations on knowing everything – though I could say the same thing about your comment. It was just a waste of time for you to write it. If you’re going to post things like that, at least add to the conversation by providing additional insights about booking for others or at least have the guts to provide a real email address. But I guess that’s how you roll in Austria. Bands!! You left out the most important thing! You must get bands at each local venue to play with you on the bill. Otherwise, who will you be playing to? We’re almost done booking our East Coast tour this summer and finding bands has been the hardest part by far. In most of the cases, the local line up will be determined by the venue itself but it’s true, many promoters are starting to rely on bands to pitch a full package or have a local to secure the show. I’ll highlight that on my next post, which will be released today. discovering this. I guess you do learn a little something outstanding everyday. Here’s a goal in which everyone should know though. Always keep training and you shouldn’t throw in the! Good fortune to your website and absolutely everyone within their music careers! Is it ever okay to play for play? I’m in the school of thought that you should never have to do that. If there is an advantage doing that…..give me some food for thought? The only time when it is justified is when there is a definite return on investment – either in measurable increase in fans, income, etc. Great article, one thing that is hard to do is convince the venue that they should book you in a town you have never played and no one knows who you are. I imagine planning an event and putting it in the local press as much as possible is a good selling point. Other than that, what do you suggest bands do to have an appealing edge to venues? Also what are some tips on negotiating a better price? Usually, if there’s no existing audience in the town, I would lead with a pitch based on other acts to be included on the bill – in other words, put together a package with local talent that has some draw. One way to do this is to look at the venues archive calendar and look for locals in your genre who’ve headline the venue in the past. When you make the pitch using their name, the talent buyer is much more likely to respond, even if you don’t have a proven draw. Very informative information. I thank you so much.